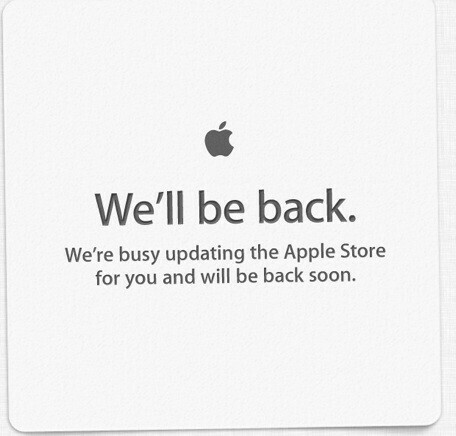 The online Apple Store is apparently being updated as the site is down in the U.S., Germany and Australia. 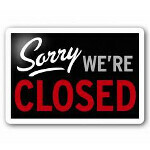 Those are the three locations that are closed that we are aware of at the moment, but we would imagine that the site is undergoing a change in all countries. When you go to the site online, you are met with a graphic stating that the Apple Store is undergoing updating and will be back soon although a date is not specified. If you live in another country besides the three mentioned above, give the Apple Store a shot and see what comes up. You can leave us a comment in the box below. Perhaps this will be as fast a renovation as Gordon Ramsay's overnight restaurant make-overs on Kitchen Nightmare. After all, no online Apple Store means no online revenue for the gang in Cupertino. Wonder if there will be a new MacBook Pro (new processors, slimmer body) available for sale when the site is back up? Hoping so. The problem of apple is that their computers are overpriced. Either way i got the base model from 2011 macbook pro and i'm not disappointed at all. The fact that it has mac os is much better. Still down as of 12:07 a.m. Pacific. Okay its up and running for me. They are updating all of their websiTes to rewriTe the New iPad's descriPtion, all siTes will now say, "We are very sorry iF we have miSlead anyone but, our New iPad is not 4G as you were previously and diShonestly lead to believe. Our New iPad, however, has better liMited connectiviTy on 3G but works flAwlessly when connected to wi-fi. And, this alone makes it 'Deceptionary'." even if it doesnt have 4g, it still smashes all android tablets... I played around with the ipad 2 this weekend and even that is better than androids offering. Troll all you want.